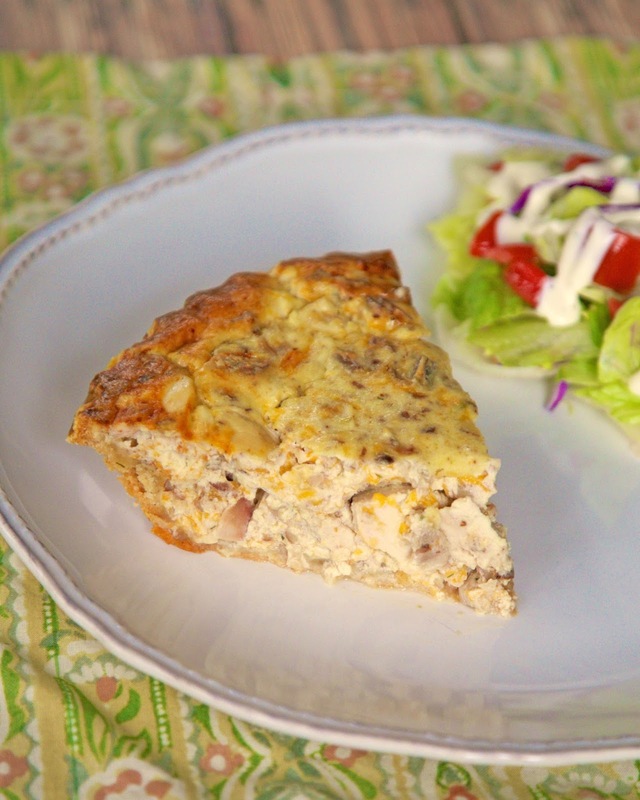 If you follow the blog on a regular basis, you know that we love to eat quiche for dinner. I am always looking for new and interesting recipes. I came across a recipe for a chicken and pecan quiche. It had pecans in the crust. I had a frozen pie crust that I wanted to use up, so I decided to change up the recipe to work with what I had on hand. It turned out delicious. I loved the combination of cheese, chicken and pecans. We both gave this two thumbs up! Combine sour cream, broth, dressing and eggs. Whisk until smooth. Stir in chicken, cheese, hot sauce and pecans. Pour into frozen pie crust. Bake for 55-60 minutes, until set. Let stand 10 minutes before serving. Southern Living? This was the 7th recipe I made in my challenge, and I did the pecans in the crust...but this sounds much easier, with all of the same flavor! It was Southern Living. I wasn't going to fool with making that crust. Much easier to just put pecans in the quiche mixture. You had me at tiny little pockets of cream cheese. I'm headed over for the recipe! 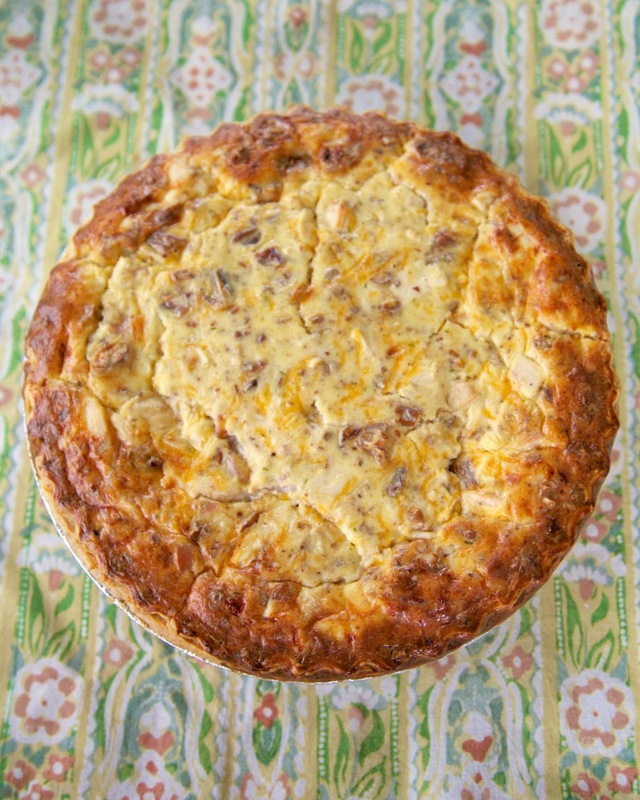 I love quiche - I am going to give this a try ! Your recipes look great. I love your cats they are so pretty.